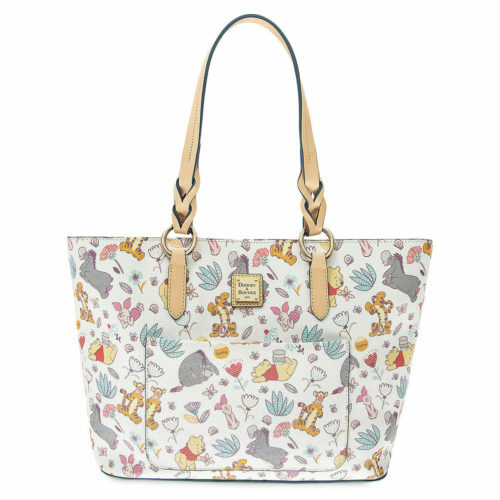 We kinda fell hard for the cuteness all over these Winnie the Pooh Dooney and Bourkes the minute we laid eyes on them, but apparently we weren’t the only ones! These things were released THIS MORNING and now they’re SOLD OUT! Yep. ShopDisney released three adorable Pooh Dooneys: this Bucket Tote, a Letter Carrier Bag, and a Zip-Around Wallet, and they were GONE in a FLASH! But, we have confidence that shopDisney will hopefully (please? please?!) stock more in the near future, because we have been told they restock DAILY and NOW WE’RE OBSESSED! So, who knows when they’ll be putting these cuties back on the shelf, but check, check, check online, to see if you can grab one when they do restock them and let us know in the comments if you were able to grab one! In the meantime, be sure to check out our list of other Favorite Disney Handbags here! And don’t forget to sign up for our Mickey Fix Newsletter to stay in the know about new and upcoming Disney products and deals!